A group of disorders that impair balance, movement and muscle tone is called cerebral palsy or CP. From the word “cerebral” it can be understood that the disorder is related to the brain and “palsy” means weakness or muscle disorder. Cerebral palsy affects the area of the brain that controls the ability to use muscles. When part of the brain is not developing as it is supposed to be cerebral palsy happens. It can also affect congenitally that means the brain is damaged right from birth or very early in life. Majority of people with cerebral palsy have that disorder right from birth, but it can also happen after birth, in that case it is called “acquired” cerebral palsy. There is the mild problem of muscle control in people affected with cerebral palsy. If the disease condition is chronic they will not be able to walk. Speaking problem can also be seen in people affected with cerebral palsy. Intellect can also be affected by this condition, though many have normal intelligence. When a child is diagnosed with cerebral palsy, the diagnoses include both brain injury and muscle problem. To get a better picture as to how brain damage has impacted one’s overall mobility, cerebral palsy is divided into different types. Movement issues and the body part(s) being affected are the two principal factors based on which cerebral palsy is categorized. Cerebral palsy is mainly four types – spastic, athetoid, ataxic and mixed type. Let us go into each one in detail. It is the most widely found cerebral palsy accounting for 70 to 80 percent of the cases. People affected with spastic cerebral palsy often have exaggerated or jerky moves. Damage in the brain’s motor cortex triggers spastic cerebral palsy. It is also triggered by damage to pyramidal tracts which help transmit signals to the muscles. This is why spastic cerebral palsy is also called pyramidal cerebral palsy. The motor cortex is located on the both sides of the brain and the pyramidal tracts connect each side of the motor cortex. Damage to the left side of the motor cortex causes movement issues on the right side of the body and vice versa. Around 10% of the cerebral palsy found in children is attributed to this type. It is also called non-spastic cerebral palsy. In this type the muscle tone fluctuates between being hypertonic and hypotonic. Involuntary movements in the face, torso and limbs are the tell-tale signs of athetoid cerebral palsy. This type of cerebral palsy is caused when brain’s basal ganglia and/or cerebellum is damaged. The basal ganglia are responsible for controlling motor function and eye movements, while the cerebellum controls balance and coordination. Athetoid cerebral palsy is also called “extrapyramidal” as the extrapyramidal tracts in the brain help control involuntary reflexes. Ataxic cerebral palsy affects balance and coordination. It accounts for only a small portion of all cerebral palsy cases. Those inflicted with this condition typically have issues surrounding voluntary movement. Ataxic cerebral palsy is not like other types of cerebral palsy because it is majorly caused by damage to the cerebellum, which controls balance and coordination. People with this condition often have tremors and a reduction in muscle tone. At times damage of the brain is not confined to one location. In these settings, it is possible for a child to develop cerebral palsy that is characteristic of multiple brain injuries. 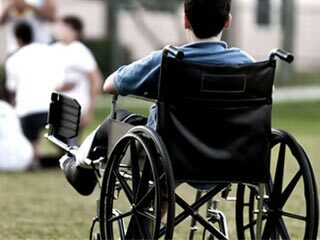 When a child is showing symptoms of more than one type of cerebral palsy, it is considered to be mixed cerebral palsy. Ironically, mixed cerebral palsy accounts for only less than 10% of all CP cases. The commonly found mixed cerebral palsy diagnosis is a combination of spastic and athetoid cerebral palsy. Parents should seek professional opinion from cerebral palsy specialists if they suspect more than one type of cerebral palsy are afoot. Severity of the condition is dependent on the extent of the patient’s brain injuries. While the condition does not progress over time, symptoms may become more pronounced as the patient ages.